Data Analytics is a process of discovering key insights and valuable conclusions from a massive amount of data gathered or collected from various sources to support decision making. Increased computational power, High processing speed. The advent of interactive end-user interfaces and proven efficiency of distributed computing paradigm to handle large chunks of data made data analytics to advance in all domains, prominently in Retail, Banking, Healthcare, Logistics, Defense, Public Administration etc.. Measures of Central Tendency – Mean, Median, Quartiles, Mode. Measures of variability or spread – Range, Inter-Quartile Range, Percentiles. In recent times, the difficulties and limitations involved to collect, store and comprehend massive data heaps are overcome with statistical inference process. Generalized inferences about population dataset statistics are deduced by using sampling methods along with the application of central limiting theory. A leading news broadcaster gathers casted vote details of randomly chosen voters at the exit of a poll station on the election day to derive statistical inferences about the preferences of the entire population. Repeated sampling of population dataset results in chunks of samples with sufficiently large sample size. Clustered sampling is generally preferred to generate well-stratified, unbiased representatives of population dataset. The statistical measure of interest is calculated on the sampled data chunks to obtain a distribution of sample statistic values called sampling distribution. The characteristics of sampling distribution are related to that of population dataset using central limiting theory. 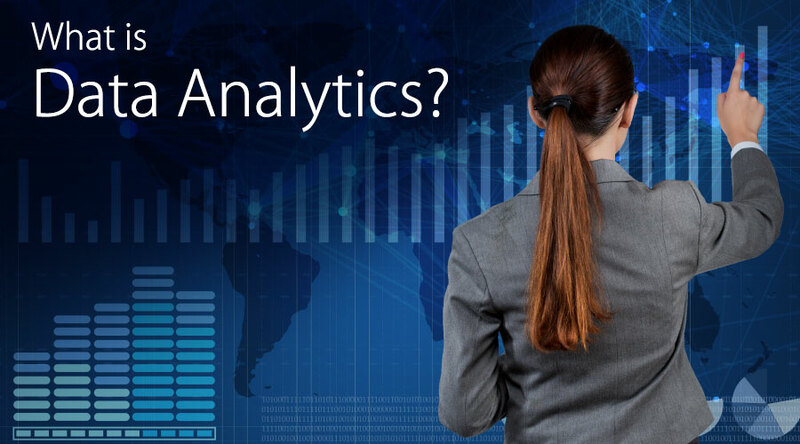 Predictive Analytics exploits patterns in historical or past data to estimate future outcomes, identify trends, uncover potential risks and opportunities or forecast process behavior. As Prediction use-cases are plausible in nature, these approaches employ probabilistic models to measure the likelihood of all possible outcomes. The chatBot in Customer Service Portal of financial firm pro-actively learns the customers’ intent or need to be based on his/her past activities in its web domain. With the predicted context, chatBot interactively converses with the customer to deliver apt services quickly and achieve better customer satisfaction. In addition to the extrapolation scenarios to predict what happens in the future based on available past data, there are few applications that guess missed data entries with help of available data samples. This approximation of missed values within the range of given data samples is technically referred to as Interpolation. A powerful image editor application supports reconstructing missed parts of texture due to super-imposed text by interpolating feature function at the missed block. Feature function can be interpreted as a mathematical notation of patterns in the texture of a distorted image. Prediction Accuracy: That conveys the degree of closeness between a predicted value and actual value. A lower variance of the difference between predicted value and actual value implies a higher predictive model’s accuracy. Model Learning Rate: It depends on the model’s complexity and computations involved in calculating model parameters. Prescriptive Analytics uses knowledge discovered as a part of both descriptive and predictive analysis to recommend a context-aware course of actions. Advanced statistical techniques and computational-intensive optimization methods are implemented to understand the distribution of estimated predictions. On precise terms, impact and benefit of each outcome, that are estimated during predictive analytics, is evaluated to make heuristic and time-sensitive decisions for a given set of conditions. A Stock market consultancy firm performs SWOT (Strength, Weakness, Opportunities, and Threat) analysis on predicted prices for stocks in investors’ portfolio and recommends the best Buy-Sell options to its clients. Unstructured data includes social media conversations, images, audio clips etc. Traditional data parsing methods fail to understand this data. Unstructured data is stored in data lakes. Implementation of data parsing for structured and semi-structured data is incorporated in various ETL tools like Ab Initio, Informatica, Datastage and open source alternatives like Talend. Validations for permissible field values in data records like “31-February” cannot be a valid value in any of date fields. A filter of unwanted data records. Joining the data fetched from different sources. Data Mining, Deep learning methods are used to evaluate Key Performance Indicators(KPI) or derive valuable insights from the cleaned and transformed data. Based on the objective of analytics, data analysis is performed using various pattern recognition techniques like k-means clustering, SVM classification, Bayesian classifiers etc.. and machine learning models like Markov models, Gaussian Mixture Models(GMM) etc..
Probabilistic models in the training phase learn optimal model parameters and in the validation phase, the model is tested using k-fold cross validation testing to avoid over-fitting and under-fitting errors. Most commonly used programming language for data analysis are R and Python. Both have a rich set of libraries (SciPy, NumPy, Pandas) that are open-sourced to perform complex data analysis. Data visualization is the process of clear and effective presentation of uncovered patterns, derived conclusions from the data using graphs, plots, dashboards, and graphics. Data reporting tools like QlikView, Tableau etc., display KPI and other derived metrics at various levels of granularity.